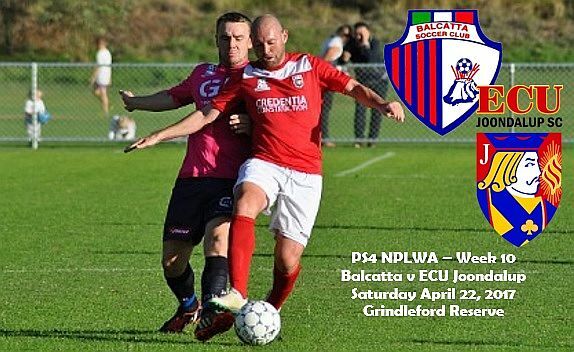 ECU Joondalup hit the road this week when they take on Balcatta at Grindleford Reserve on Saturday in Week 10 of the PS4 National Premier League WA. The Jacks are coming off a good point at Bayswater City last week and defender Logan McIsaac said it was a good point, but they had led 2-0. McIsaac, who joined the club from Melville City this season, has cemented his spot in the back four, and he said this week’s game will be another tough encounter. “We played them (Balcatta) in pre-season and they have a good side,” he said. Jacks assistant Coach David Tough said Saturday’s opponents have a talented side and they will have to be on top of their game. “Like ourselves Balcatta had a slow start to the season but have now taken points off Perth, Floreat and ran Bayswater very close so we know it’s going to be a difficult game,” he said. “I’m sure Salv Todaro will be looking for a reaction after the disappointment of losing in FFA Cup against Gwelup, where I thought they were the better side for most of the game. Already this season it has shown that anyone can beat anyone in the NPL, so we are fully aware that we must be well prepared and 100% focused for us to have a chance of getting the three points. In team news skipper Jon Higgins is available after missing the last two weeks, while Daryl Nicol and Kevin Moon should also be available after missing the Cup game, but James Owen is suspended. For Balcatta Luccas Mello, Keiron Stallard and Daniel Hepworth will miss the game due to suspension.